New data on the relationship between resource allocation and agricultural productivity in Malawi has revealed how a minority of total cultivated land is acquired in the market while the vast majority is either directly (or indirectly) distributed via the Customary Land Act. Accordingly, the allocation of land is unrelated to farm productivity. 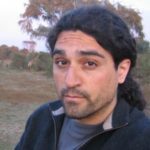 The Customary Land Act is in place in part to reduce inequality, however, the data shows that equal access to land is ineffective at equalizing incomes. Gains from efficiently redistributing land via the market would have great benefits to generating growth of the agricultural sector in Malawi. Considering the role agriculture has to play in development for low income countries, it is crucial that policy makers find ways to improve land allocation in the sector. The agricultural sector is key to understanding low income per capita in poor countries. Most people work in agriculture in poor countries, yet the sector suffers from extremely low productivity. While many hypotheses rationalize low productivity and growth in poor countries, successful policies that address this important observation are scarce. With the help of new nationally representative micro data (Restuccia and Santaeulalia-Llopis, 2017), the relationship between resource allocation and agricultural productivity has been documented. The data exposes how imperfections in land markets — or the inability of land to be allocated to its best uses — is a key component in explaining low incomes and extreme poverty in many poor and developing countries. In Sub-Saharan Africa (SSA) for example, the vast majority of cultivated land is not marketed either formally or informally. Typically, land ownership resides either with the state or with the commune (a small local administrative division), which dictates land allocations among members in the form of use rights. Consequently, land property rights are ill defined and reallocation of land by individuals is either prohibited or limited by implicit use-it-or-lose-it rules. This severely hinders the allocation of land to its best uses. In the case of Malawi, barely 15 percent of total cultivated land is acquired in the market through either purchases or rentals. The remaining 85 percent of land is either directly (or indirectly) distributed following the Customary Land Act. The Act grants local leaders with the power of allocating land, allowing/banning land transactions, and resolving disputes across villagers related to land limits. The fact that land markets are not active does not necessarily imply that the allocation of land is not desirable in a broad sense. For example, the uniform allocation of land-use rights among members of a village may account for concerns about income risk and self-sufficiency, or about inequality and equal access to valuable assets. However, considering there are alternate institutions to deal with these concerns, it is essential to assess the productivity costs of such land institutions. 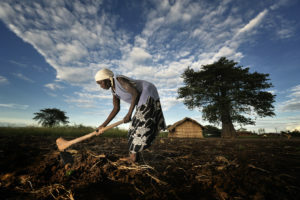 By using data from Malawi to measure productivity at the household-farm level — the most common production unit in agriculture — one can determine whether the allocation of land is efficient, in the narrow sense that it maximizes agricultural output. Measuring productivity at the farm level, which is broadly defined as the ratio of output produced to composite inputs used, requires detailed data on inputs and outputs. The efficient allocation of land is closely tied to farm productivity such that more land is allocated to more productive farmers. In this context, it may be that the distribution of land, as arranged by village chiefs, reflects farm productivity. Alternately, a uniform allocation of land may be undone by sales or rentals of use rights to closely replicate the efficient allocation of land in line with productivity. However, this is not the case in Malawi, in terms of the amount of land operated by each household farm. Figure one depicts the allocation of land represented by the land operational scale of household farms (vertical axis) with respect to farm productivity (horizontal axis). The light blue dots represent the actual data for each farmer, based on the representative Living Standards Measurement Study – Integrated Surveys on Agriculture (LSMS-ISA) sample for rural Malawi, and the red dots represent the hypothetical efficient allocation where operated land size (the amount of land used in agricultural production by the farm) increases with productivity. The resulting pattern is striking. Essentially, operated land is unrelated to farm productivity. Therefore, the evidence shows that land is strongly misallocated in Malawi. 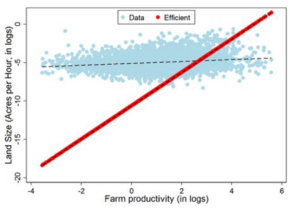 Note: Since the relationship between the efficient land size and farm productivity is non-linear, the Figure plots land size against farm productivity in log scale so that the plotted relationship is linear and hence easier to illustrate. We can assess quantitatively the gain in agricultural output and productivity if land and other complementary factors were efficiently allocated according to farmers’ productivity. Malawi would increase its agricultural output (productivity) by 260 percent. Gains from efficiently redistributing land use in Malawi are five times larger than those obtained from the efficient redistribution of capital in manufacturing in China and India! What’s more, the data shows that the larger gains in Malawi are not driven by different underlying productivity distributions across countries or sectors, but by very inefficient land allocations. That is, the chances of a farmer in Malawi operating land efficiently are much lower than a firm in China or India operating with the right amount of capital. The new data on Malawi provides information on how each plot operated by the farm was acquired—market vs. non-market. The output gains of reallocation among household farms that operate market acquired land versus non-market acquired land are then separately calculated. The output gains are 315 percent for households that operate non-market acquired land, whereas the gains are only 57 percent for households that operate market-acquired land. This reflects a strong link between land misallocation and the ability of farmers to expand or contract their operational scale associated with the land market. The gains in agricultural productivity arising from an efficient factor allocation are just the beginning of a broad development transformation that would unravel. For example, if the demand of agricultural output does not keep pace with the increase in productivity — as has been the case historically in the process of structural change — labor reallocates from agriculture to non-agricultural activities. We estimate that the share of employment in agriculture would shift from the current rate of 65 percent in Malawi, to industrialized levels of around four percent. This would be accompanied by an increase in farm size by a factor of 16 times the current levels. Furthermore, increases in farm size would likely be accompanied by complementary investments in farm productivity such as mechanization and the adoption of modern intermediate inputs. The Customary Land Act is in place in part to reduce inequality. However, this data shows that equal access to land inputs is ineffective at equalizing incomes. 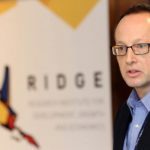 Instead, providing strong and secure property rights over land and allowing market arrangements to direct land to best uses — separating land use from land rights — can be extremely beneficial in reducing inequality. More importantly, it can contribute to alleviating poverty since low income (productivity) households benefit the most from the potential of land-based income. Implementing such arrangements is challenging in practice but the enormous distributional gains are worth pursuing. It is crucial that policy makers find ways to improve resource allocation in agriculture, particularly land. This hinges on fostering land markets to direct resources to their best uses. An optimistic perspective is that action towards a more flexible arrangement in the land market is starting to take shape in many parts of Africa and other developing countries. In Malawi, even though the status quo associated with the Customary Land Act has remained stable since colonial times, the Malawi Land Bill, passed in 2016 but not yet enacted, aims at reducing the powers of local chiefs, to make land arrangements more flexible. In this context, it would be useful to assess its implementation and impact. Indeed, while many studies focus on understanding poverty in Malawi (e.g., J-PAL), none focus on land markets. This understanding is critical, not only for Malawi, but also for Sub-Saharan African and developing countries at large.